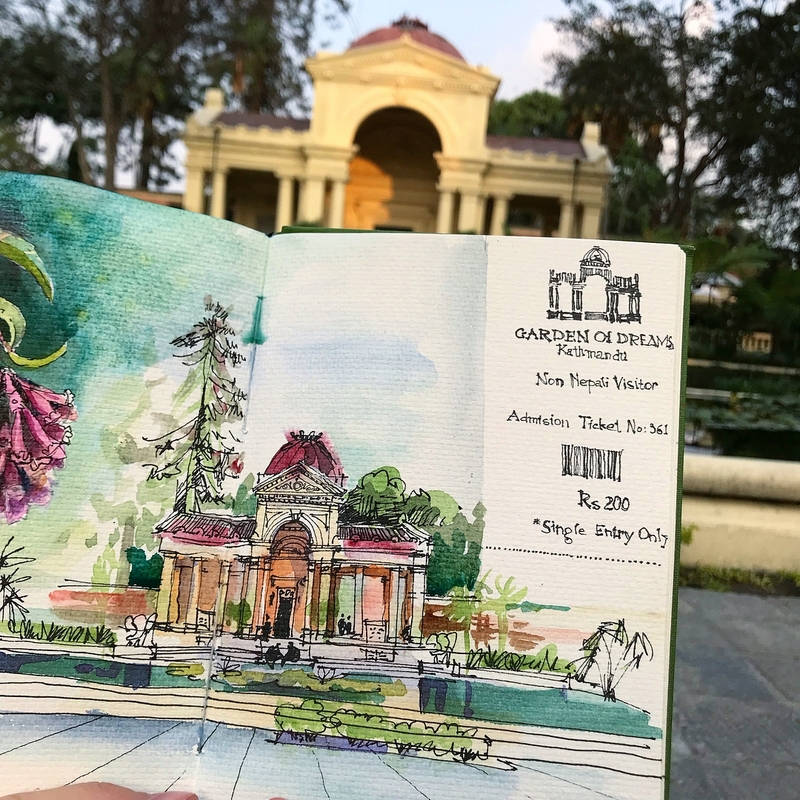 Quick sketches and watercolors, to capture the beauty of the places you visit. 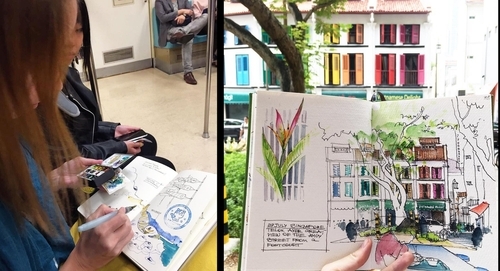 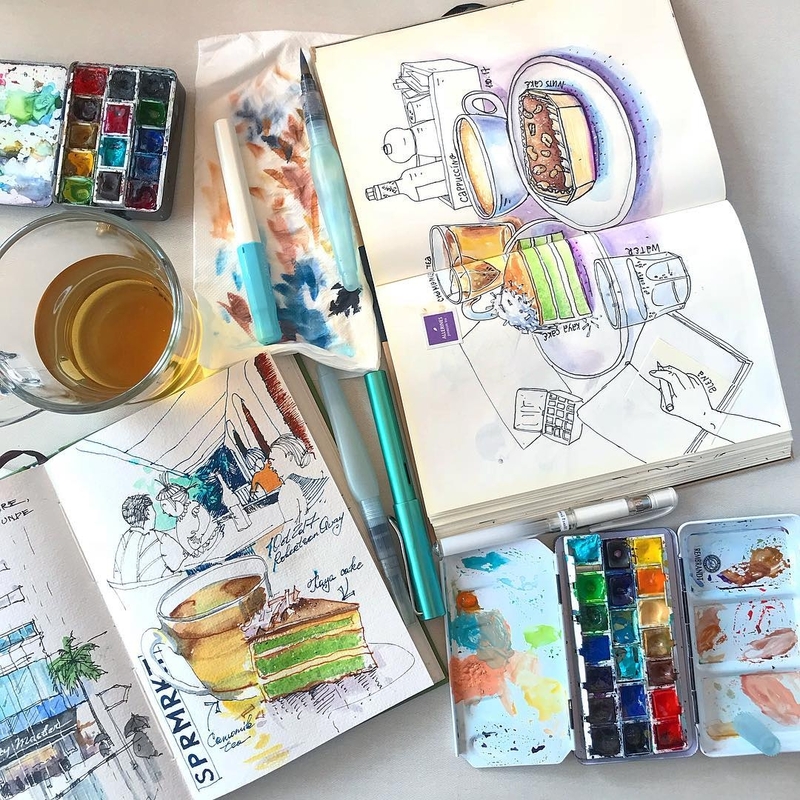 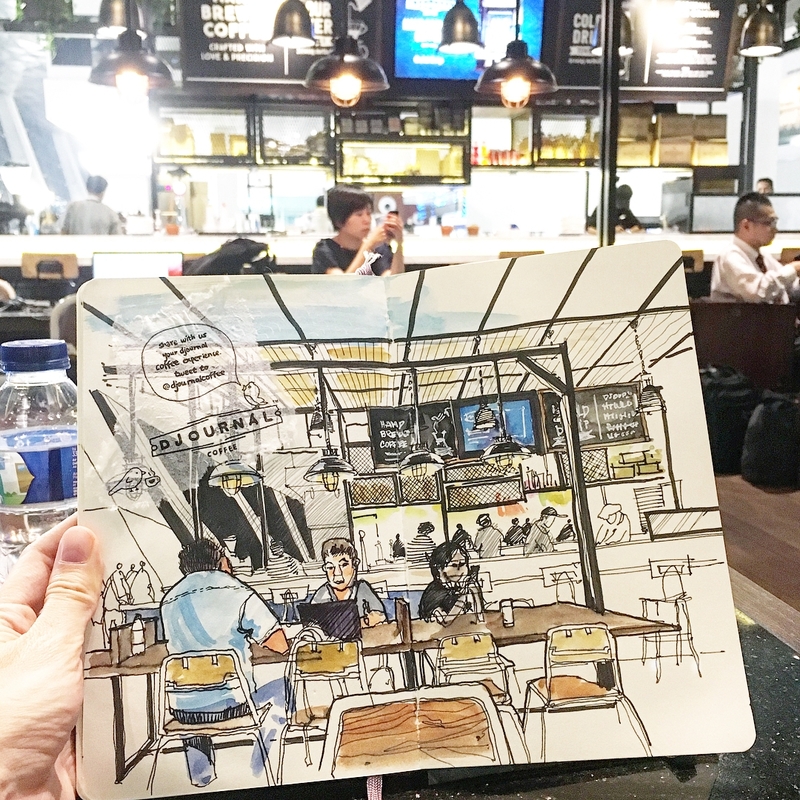 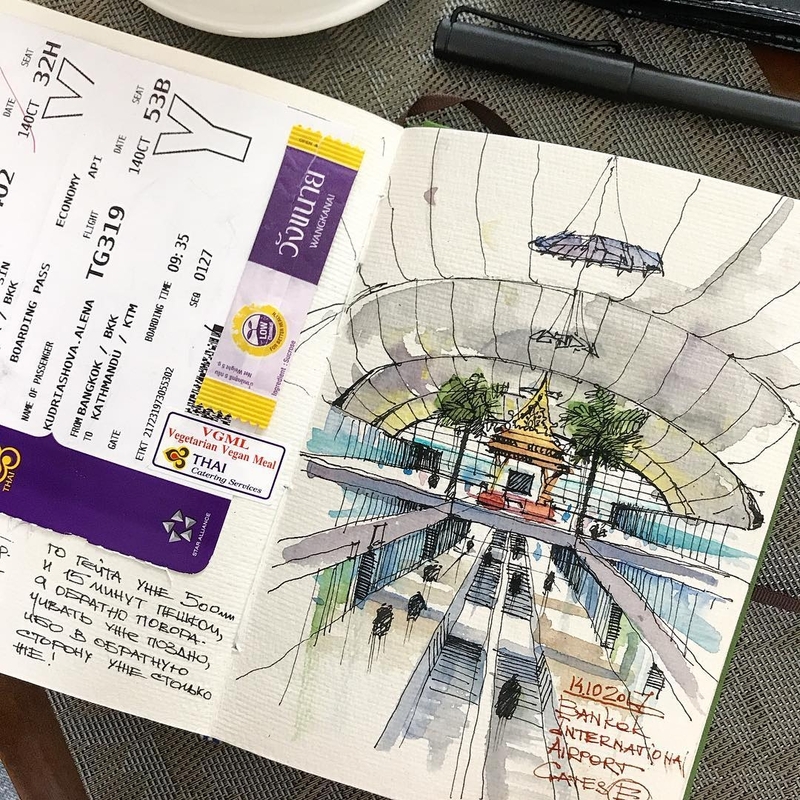 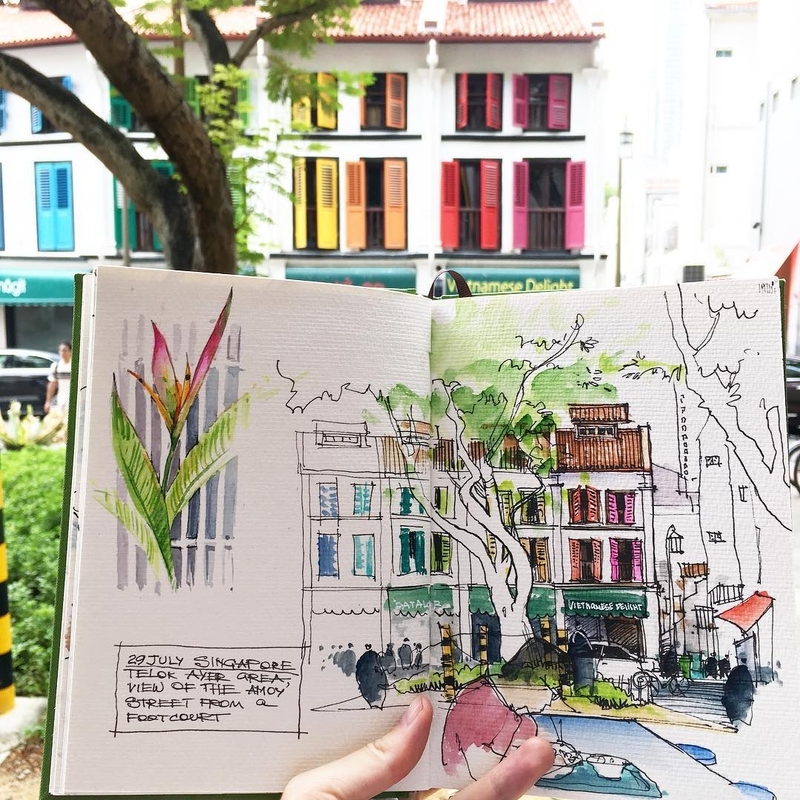 Alena Kudriashova, is an architect and an urban sketcher from Russia, currently based in Singapore. 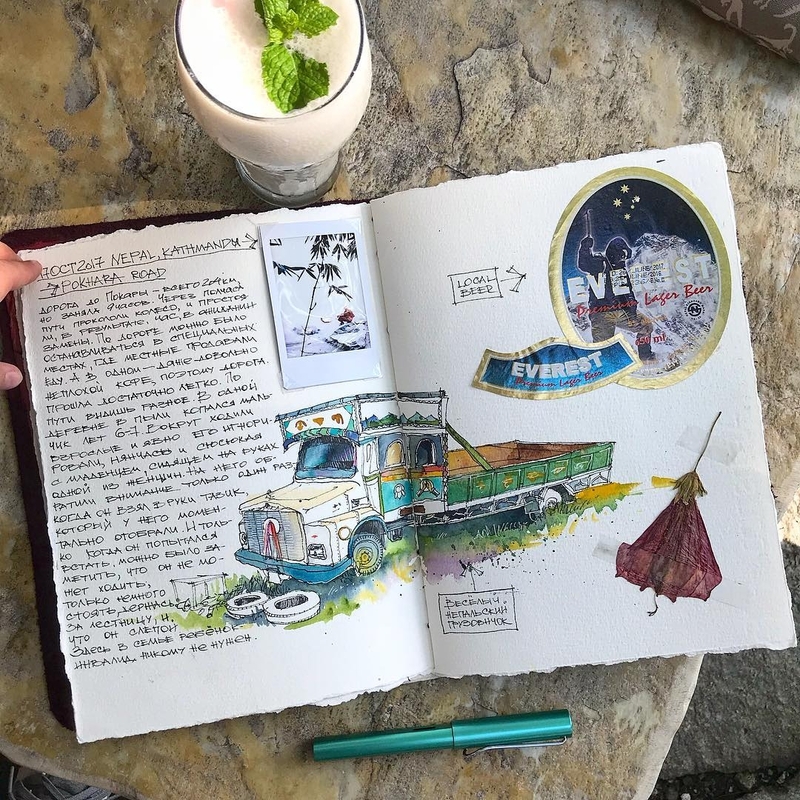 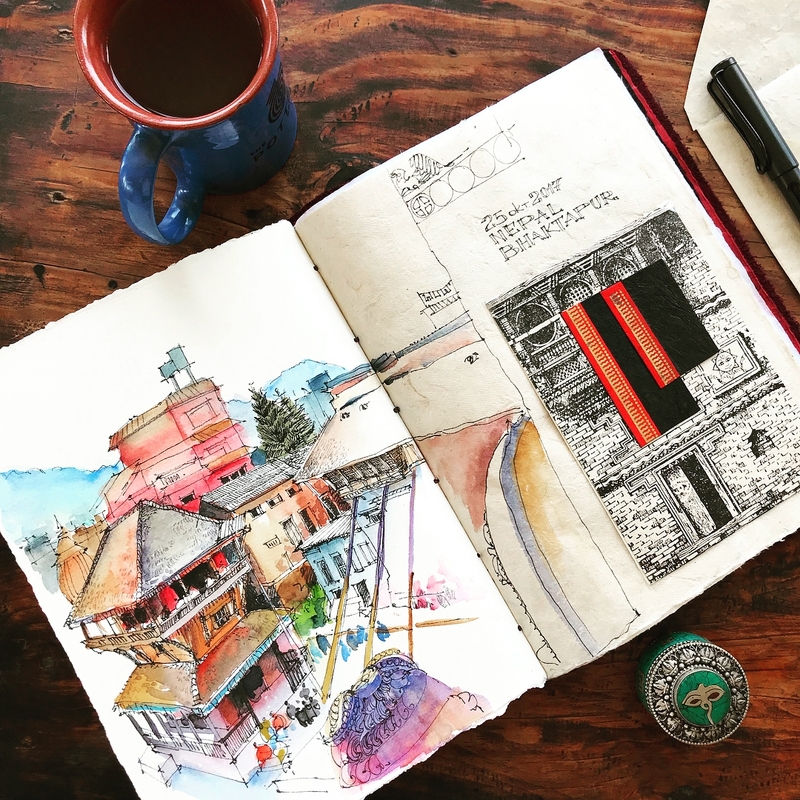 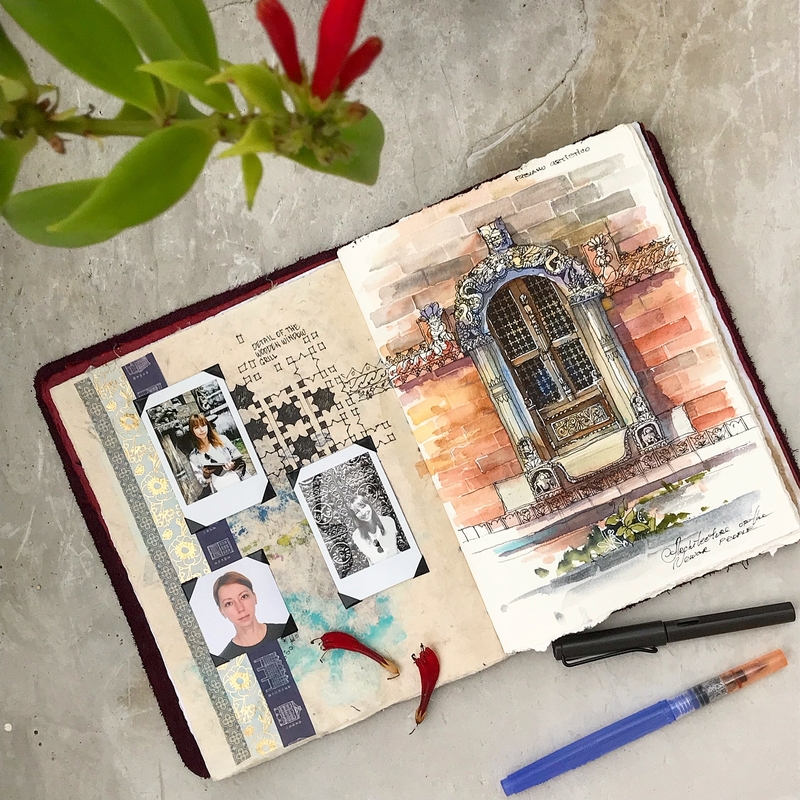 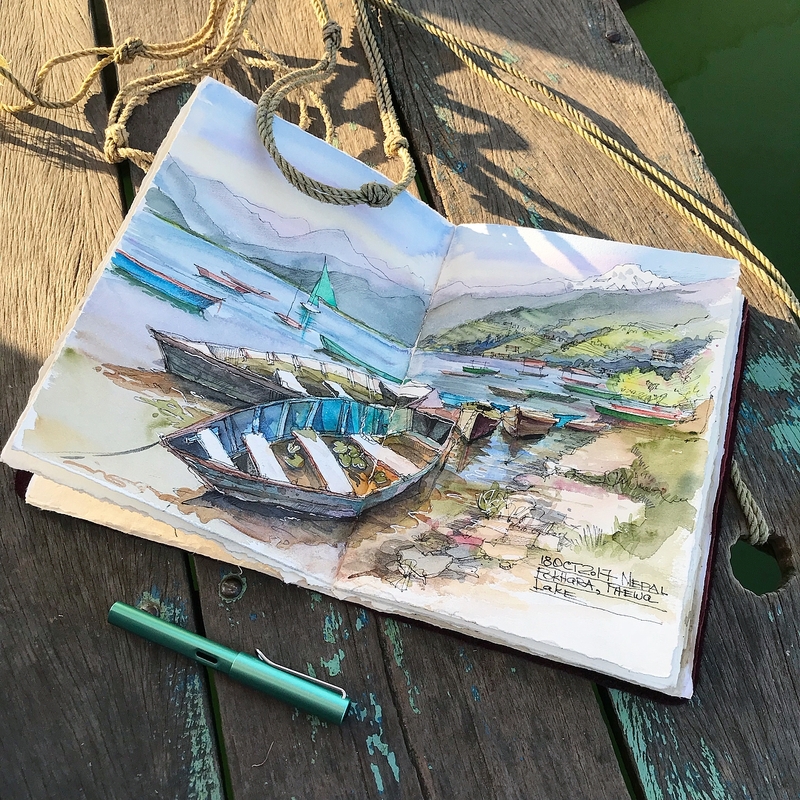 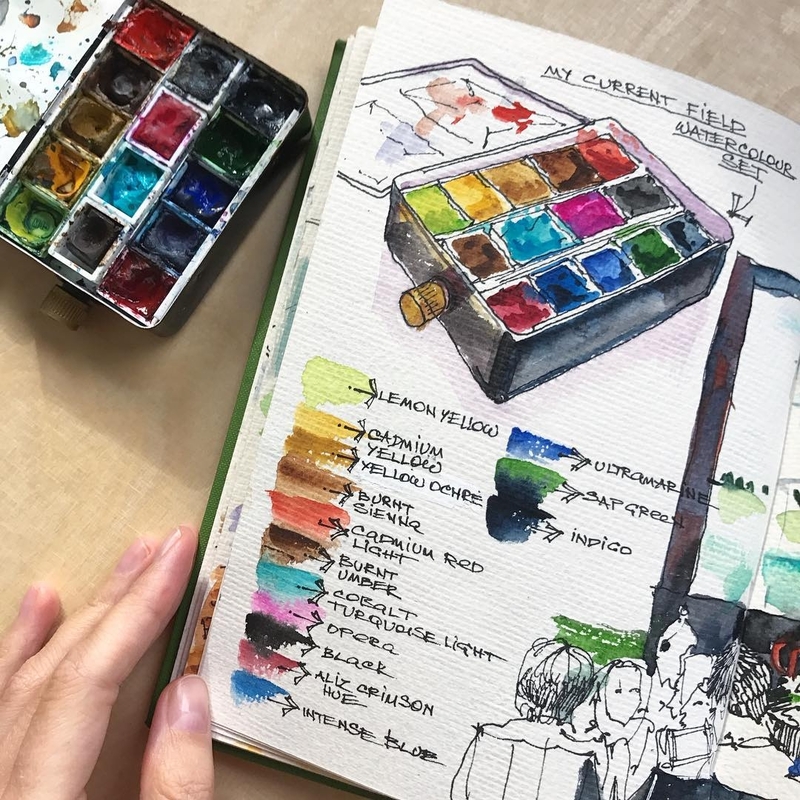 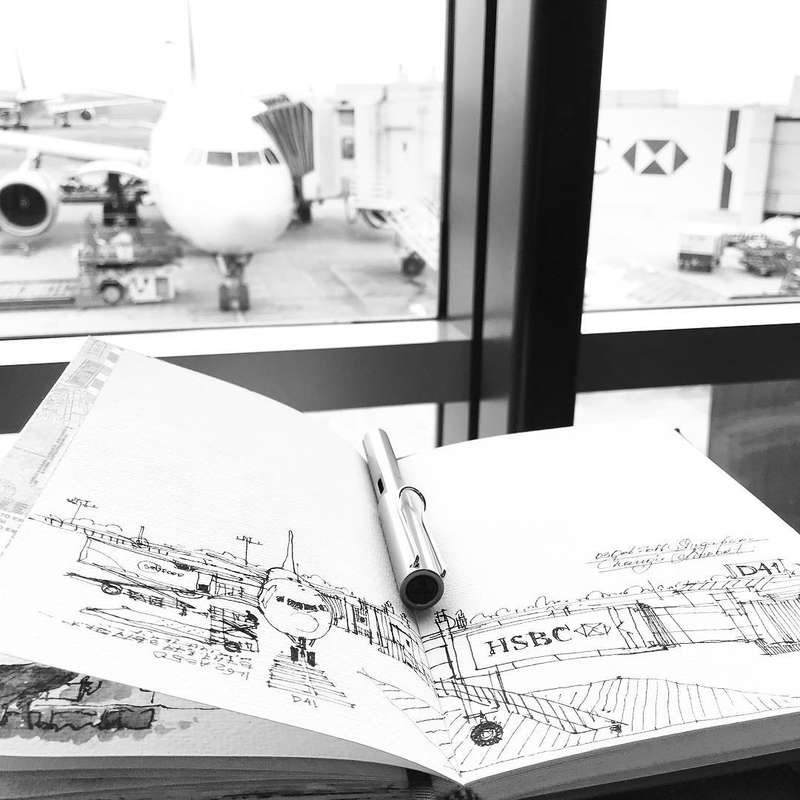 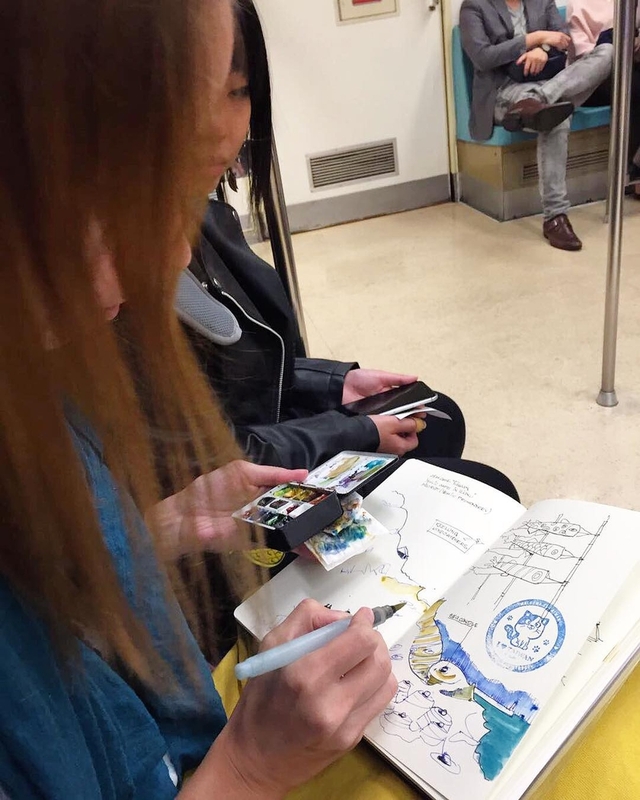 She carries her sketchbook that doubles as a diary as well, to document in drawing format and words, how she experiences the places she visits. 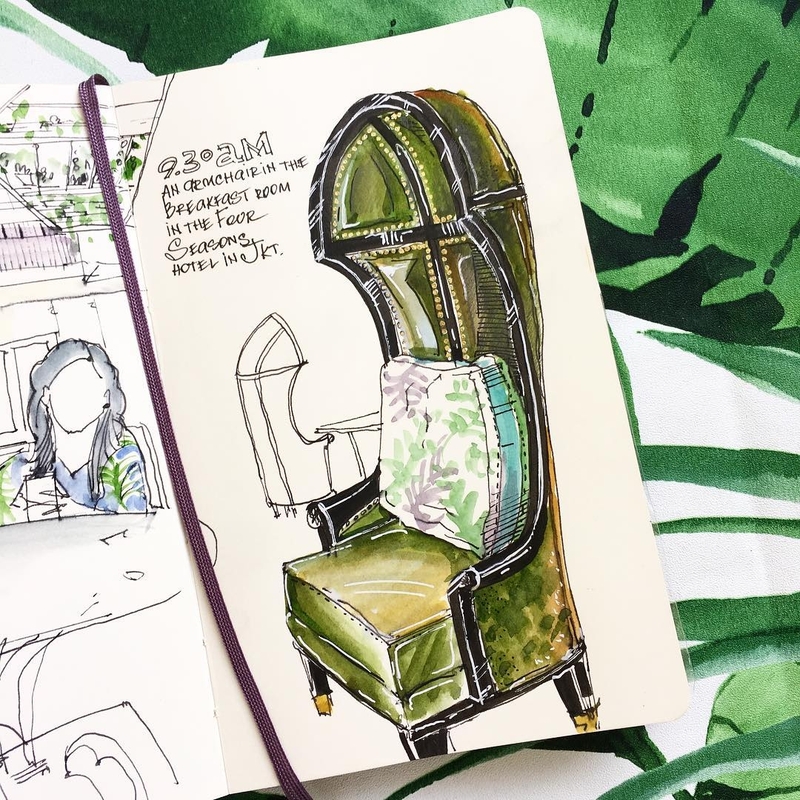 The difference between the sketch and the photograph, is that you are far less likely to notice the details with the photo, whilst, if you have to draw them, you are more prone to pick them up and remember them. 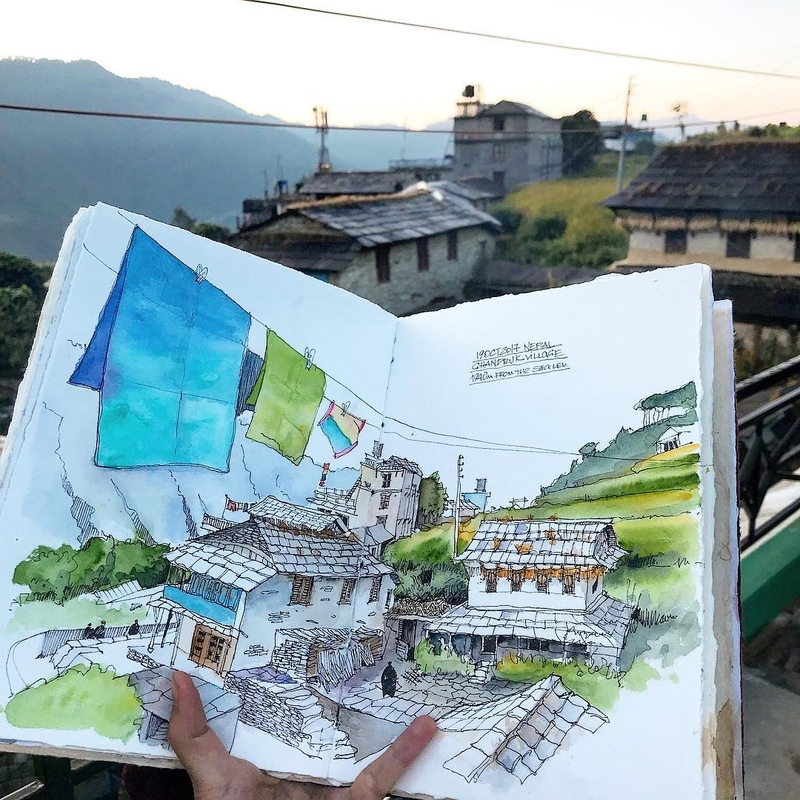 Because the drawing takes much longer to complete, you are going to make sure that you get the perfect scenery and the perfect angle, to make sure it's worth the commitment to time it will take to draw. 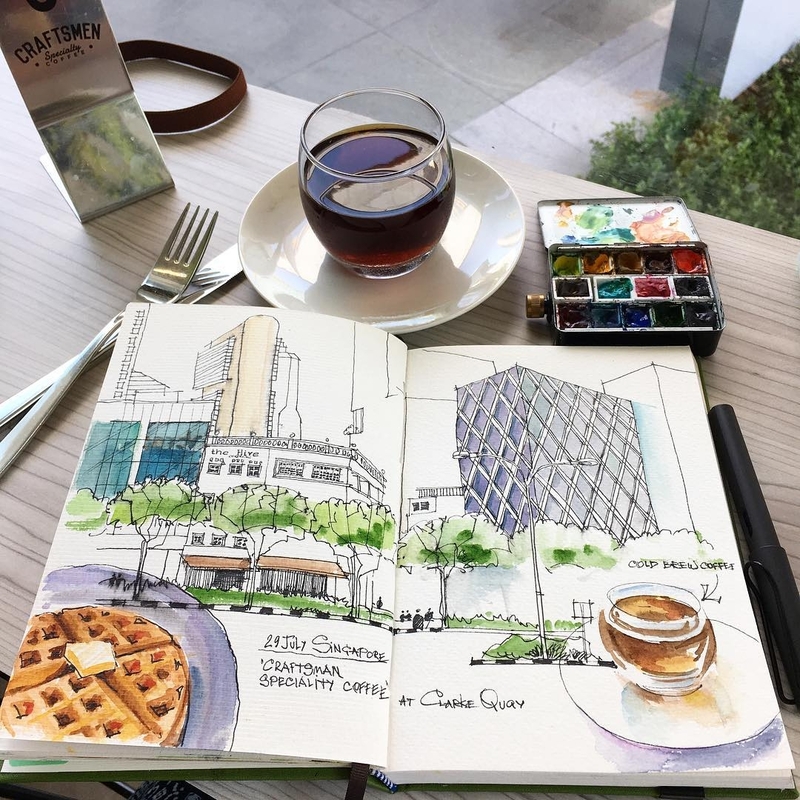 Where as with a camera it's effortless so you are more likely to be less discerning.